Bollywood and cricket has a wonderful amalgamation. The Bollywood beauties have some charismatic charm to attract the heroes of the cricketing world. The huge mass appeal is the greatest similarity between the world of cricket and Bollywood. We as audience or spectators got some of the best love stories from these glamorous worlds. The Bollywood stars and cricket stars have famous stories of affairs among them and so today we can talk about Pataudi and Sharmilla Tagore; Azharuddin and Sangeeta Bijlani; Viv Richards and Neena Gupta and last but not the least Reena Roy and Mohsin Khan. 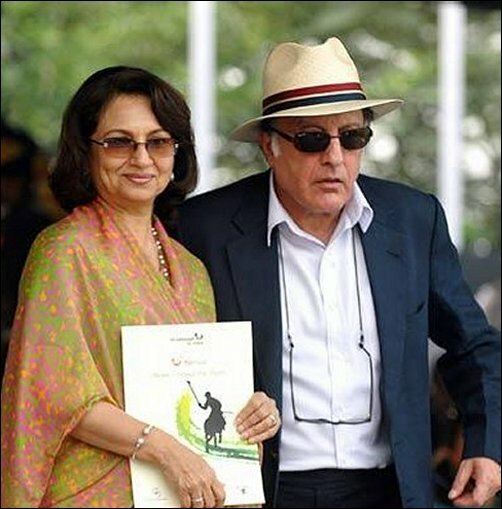 Mansoor Ali Pataudi and Sharmilla Tagore are the most glaring and lovable couple of all the couples. Pataudi is a famous cricketer and have a great bonding with Sharmilla Tagore, who was the most cherished of Satyajit Roy’s actor. The couple got married on 27th December 1969. They are the most cherished couple and both of them have excelled in their own respective fields. Azharuddin and Sangeeta Bijlani is another controversial couple who represents Cricket and Bollywood. Azharuddin, the former captain of Indian Cricket team got involved with former Miss Indiaturned actress Sangeeta Bijlani. Azharuddin divorced his former wife and married Sangeeta in 1996. After the marriage, the couple has stepped out of the glamour world, but still they are often the center of discussion among many Indians. We would love to learn more about this celebrity couple. 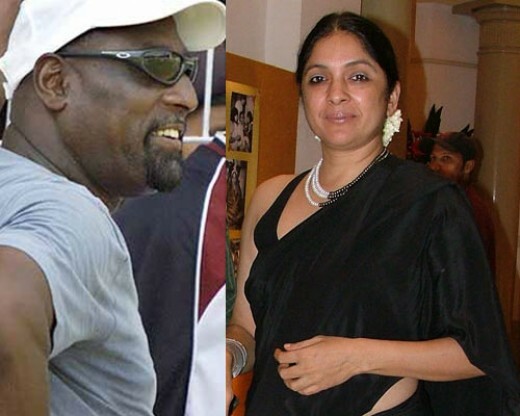 Neena Gupta and Viv Richards is another example of the link between Bollywood and cricket. However, this couple had a very short and controversial relationship. Neena Gupta, a veteran actor and TV director, excelled in her own sphere. Her short affair with Vivian Richards, the West Indian cricketer had created lot of controversies and headlines in print media. They are just fabulous and great in their own fields of expertise. However, they are not married but still they will be a memorable couple at the end of the day. Masaba Gupta is the love child of the famous couple. Reena Roy was another Bollywood beauty who got married to Pakistani cricketer Mohsin khan. Reena Roy did some Hindi movies and at last decided to tie the knot with Mohsin Khan. She quit her filmy career and decided to have a successful and happy married life. However, she was not so lucky like her counterparts in Bollywood. She reappeared in Bollywood and started to do films after divorcing Mohsin Khan. Mohsin Khan did appear in few of the movies, such as “Gunehgar Kaun”,” Laatsaab”, “Pratikaar”,” Fateh”,” Saathi”. Mohsin Khan remarried soon after divorcing Reena Roy. Hence, we can conclude with the note that the Bollywood and cricket world have some kind of magnetism. This attraction is really strong and unavoidable. There are many other cricketers who have long or short relation with many Bollywood actresses or models from time to time. The silver screen had some magic wand, which mesmerized the heroes of the fields. The Bollywood stars are ever shinning and successful in grabbing the attention of the talented and spirited heroes. Salman Khan, ex-flame Sangeeta Bijlani to star together?